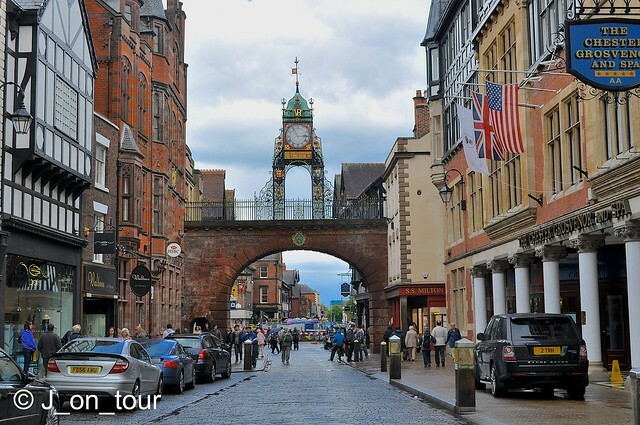 Chester is one of the historic cities of the UK that attracts a lot of tourists. For me it is usually either a convenient destination on a scenic North East Railtours day trip or as in this particular case, a handy car / lunch break (3 hours from home) as I travel onwards to another location. 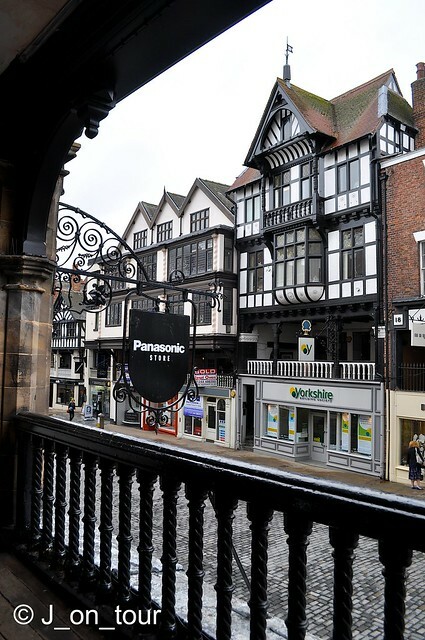 Chester's history can be traced back to Roman times when four main roads (Northgate, Eastgate, Watergate and Bridge ) all met in the centre of "Deva". 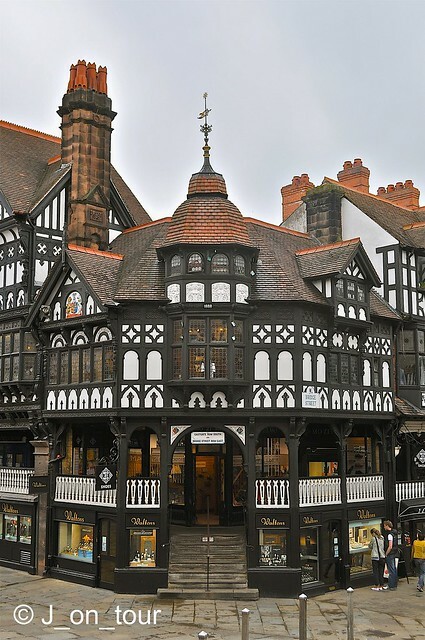 Chester was the name chosen by the Saxons who were responsible for further protection of the inhabitants and as a result was one of the last places to fall to the Normans. 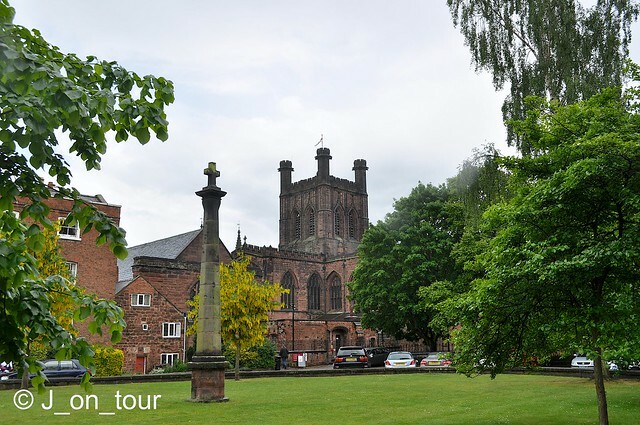 Chester Cathedral demonstrates a variety of architectural designs as the building was modified through the ages since it's 11th century construction with major restoration work being undertaken during 19th century. In the centre of the cloisters is a sculpture that depicts Jesus giving "the woman at the well" water that would never make her thirst again. It was ironic at this point in the day that not only did the sculpture and the surrounding pond contain large amounts of water but so did the skies above me and I had to dash back under cover quickly ! Chester Cross or ... Fridge magnet scene !! 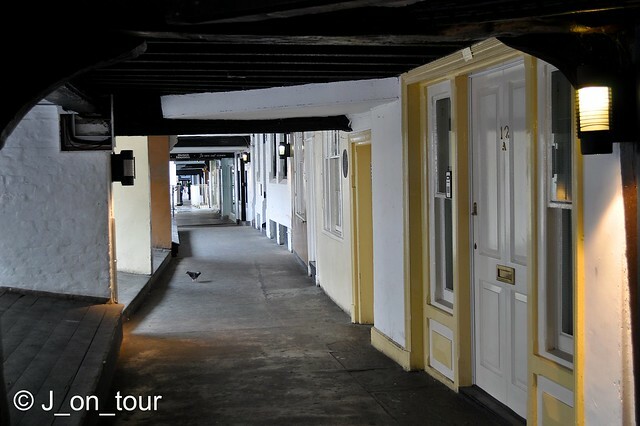 One of the most unique things about Chester and the main reason why people visit here is the "Chester Rows". These are a series of medieval buildings in the city centre that can be traced back to the late 13th century although many houses in these sections were rebuilt a few centuries later. 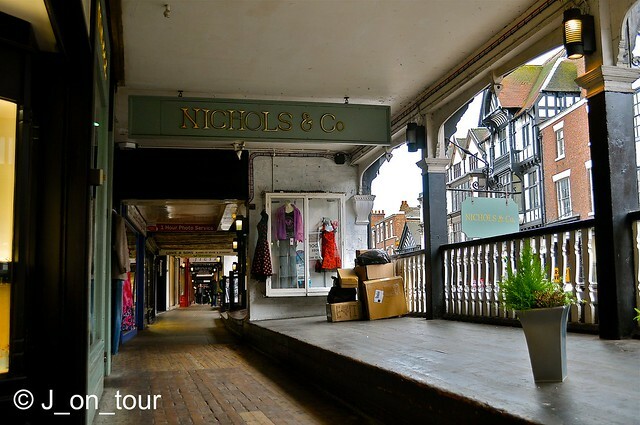 After ascending the steps and turning right in one of the previous images, this is the best preserved example of an upper Row containing shops. The view from the left hand side of the stairs looking across to the end of Northgate. and as if theres isn't enough black & white !! 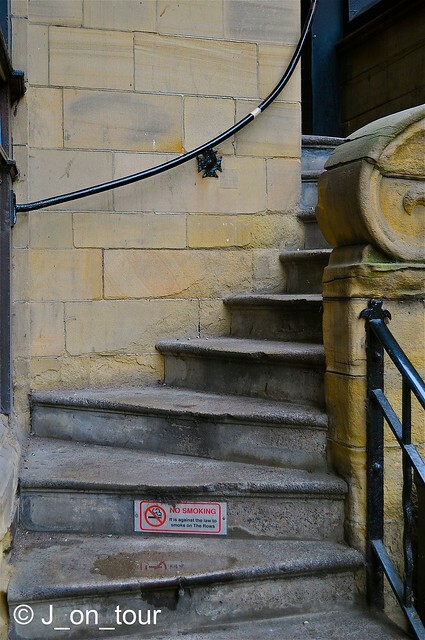 On the other side of Bridge street at Chester cross, the steps are a little more modern in places !! ... with the buildings here seeming to be a bit more of a residential nature. 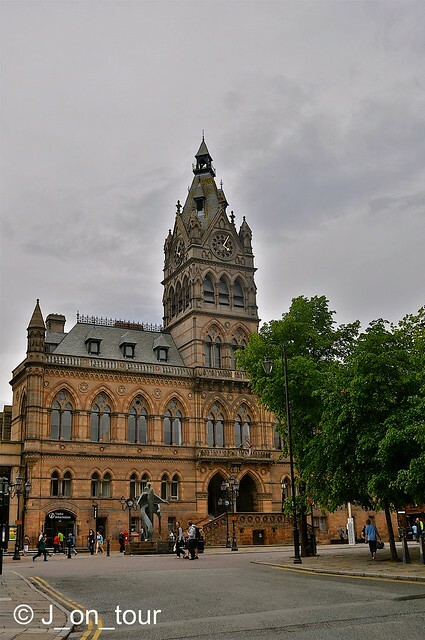 Chester Town hall was built in 1869 following a fire that destroyed the previous building that stood for 200 years. About 30 years later another fire destroyed the second floor but was restored quickly within a year. It may come as a surprise to know that the clock faces on the tower were added as late as 1979. 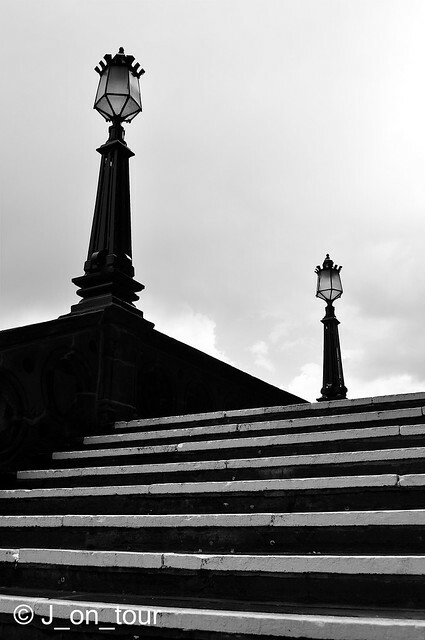 Monochrome Town Hall steps ... Grim history / grim day !! 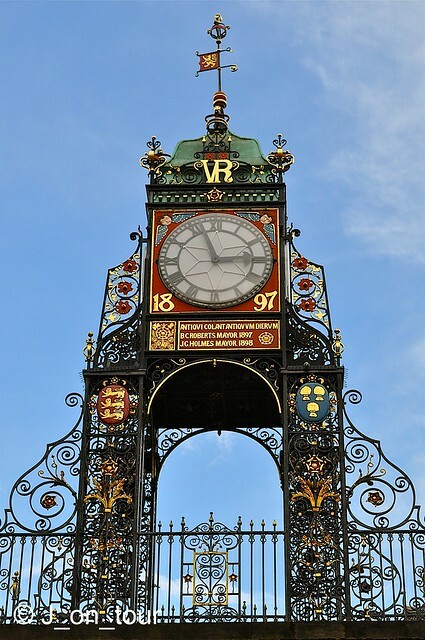 Chester clock is arguably the second most photographed clock after Big Ben in London. It was built on the site that marked the entrance to the Roman settlement of Deva and stands on a stone footbridge walkway that forms part of Chester's city wall. (see title image). The clock commemorated the Diamond Jubilee of Queen Victoria. 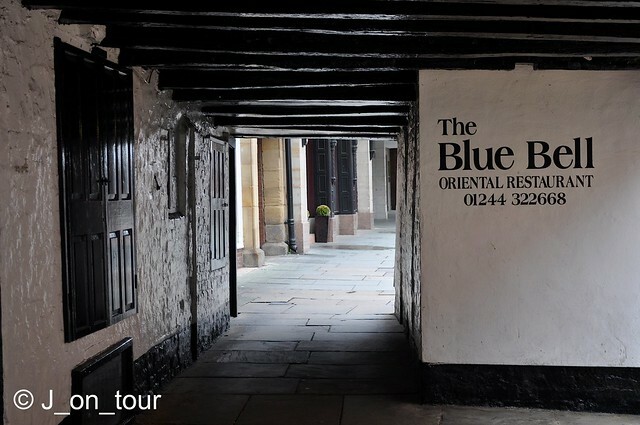 The Blue bell is Chester's oldest surviving house dating from as early as 1250. 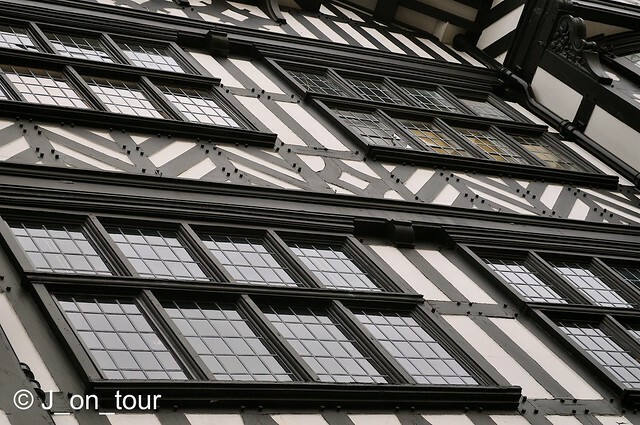 It's early use was as accommodation for pilgrims visiting the shrine of St Werburgh on the site of what is now Chester Cathedral. Later the building became an Ale house, a grain store, a private house and then by the turn of the 19th century, a public house once again. During the 20th century, it was twice threatened with demolition due to road expansion plans and later became a clothes shop followed by a restaurant. Woah, Janya has escaped, careful now when you cross the road ! Wow another set of spot on photos. I'll have to visit as i've not been for 30 yrs. Lovely photos! So glad that the Chester Rows have stood all this time, they're beautiful. So is the clock. Beautiful scenes and I adore the black/white on the buildings. So very striking. Excellent set of photos, you captured key elements of Chester beautifully. And you also did a great job of research and sharing it in your story. In response to your comment, no fear of you copying me, as for one thing, two people can do the exact same thing and each have different views and impressions, so I find that always interesting. And also you did a much better job of telling the history. 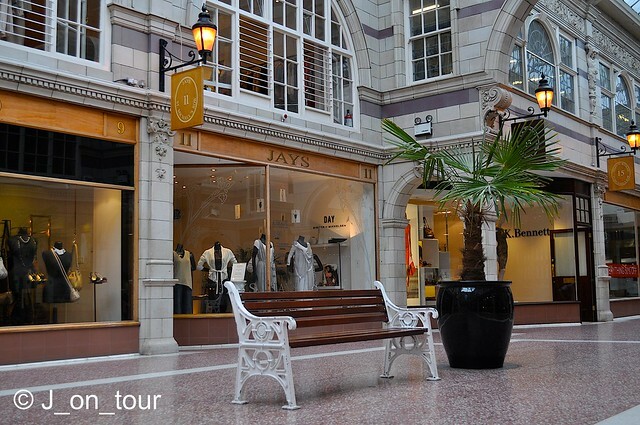 I personally interested in the history, but on this trip the shops were more of a priority! 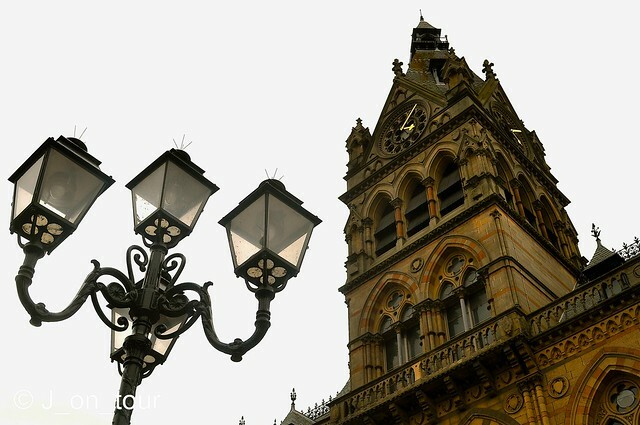 The Chester clock looks really beautiful. I noticed less people in your photos esp on those street photos.The water of life is my favorite and the pattern created on the walls of chester rows. Your posts just get better and better. much work but well worth it. The town looks gorgeous! I love these timbered houses, they are so stylish. Oh Chester was on my Birthday voting list but the water fall won! I can see I would be right at home with the steps they have, thanks for showing us and telling us about it most intresting, might have to work on mom and dad to take me :)its only about an hour away. 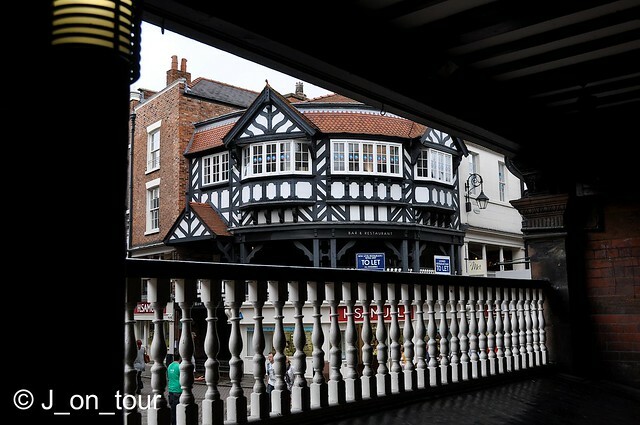 Chester was the place were I have seen for the first time so many Tudor style buildings! I loved the place, and, of course, I took a lot of pictures...on paper. Even if there are a lot of tourists there, I liked the atmosphere. Your photos express very well the essence of that town. I like the water of life and also the elphant. They have not been there when I was in Chester. The atmosphere is coming to the visitors. I can tell, this is a hard job, Jay! fantasy) Johann Sebastian Bach :). 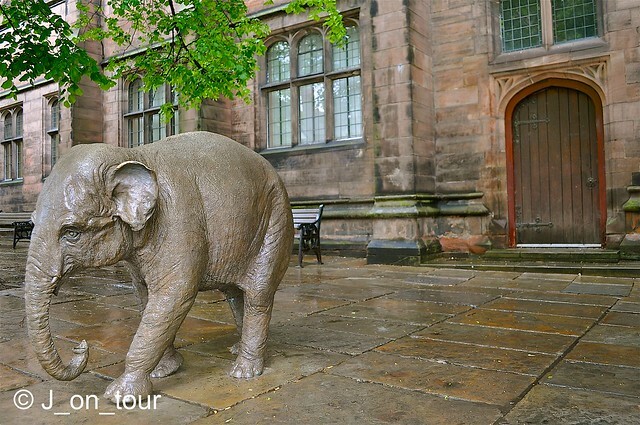 The sculpture of "Water of Life" and that of the Elephant opposite the Town Hall, are remarkable pieces of art. The same applies to the famous Chester clock. All of your pictures are very sharp and clear - and this helps the reader to easily visualize the beauty of the city. Wow. I sure wish we hadn't missed Chester. And to think we were within 40 miles. 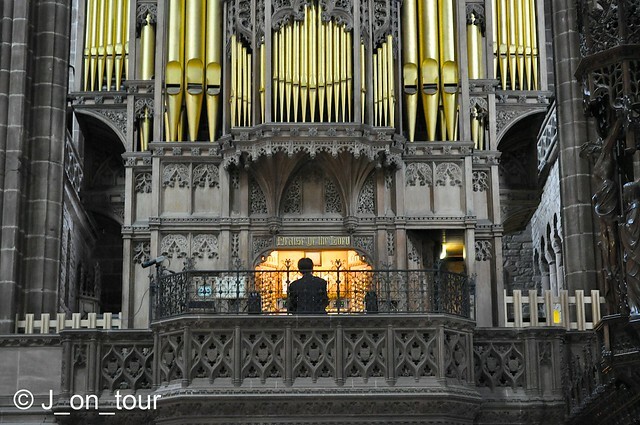 I love the B&W buildings, the pipe organ and of course those beautiful arches in the crypt. Thanks for another great series of photos! Oh, my, what a beautiful city! I always enjoy your tours! I have been in the fabulous place and I know myself how beautiful it is! You reminded me sweet memories, thank you!! 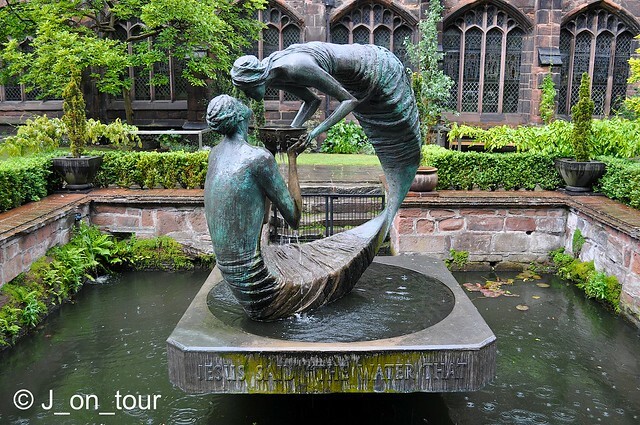 Wonderful photos and excellant info on the history of Chester. As always, I enjoyed your tour. Very beautiful place! I quite like these black and white houses, very unique and clear structure! 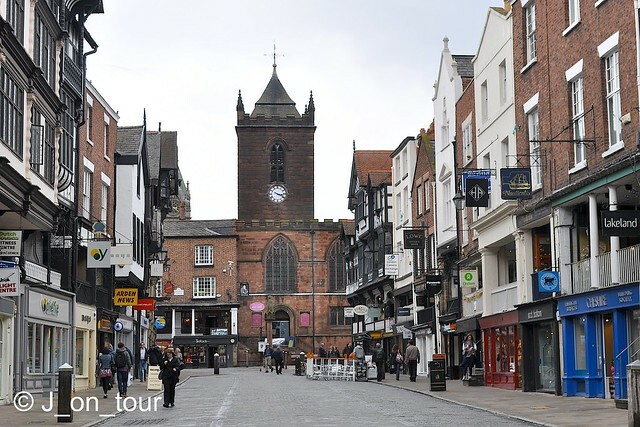 The Chester clock is also beautiful, clock towers are symbolic for every places!